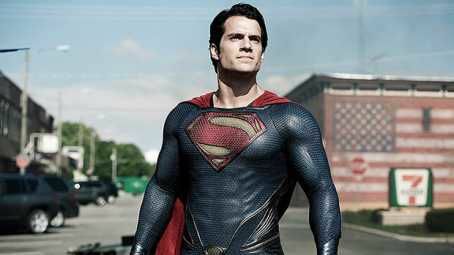 Henry Cavill is reportedly on his way out as Superman and will likely not be reprising his role as the superhero in future films. So, what the heck happened?! It’s a bird, it’s a plane, it’s not…Henry Cavill. The actor, 35, is reportedly stepping down as Superman, according to the Hollywood Reporter. Contract negotiations fell through regarding a Superman cameo in the upcoming movie Shazam! and appearances in future movies as well. Warner Bros. has reportedly started focusing on a Supergirl movie, which wouldn’t involve Henry’s Superman because the character would be an infant in the Supergirl timeline. “Superman is like James Bond, and after a certain run you have to look at new actors,” a source told THR. Well, it’s time to start coming up with ideas about who could play the next Superman! HollywoodLife has reached out to Henry’s rep for comment. The British actor has played Superman, a.k.a. Clark Kent, in three movies: Man of Steel,Batman v Superman: Dawn of Justice, and Justice League. Henry recently announced that he would be returning to TV in the upcoming Netflix series. The Witcher, based on the series of short stories and novels. He also just starred alongsideTom Cruise, 56, in the massive blockbusterMission: Impossible — Fallout.Henry’s reported exit comes on the heels ofBen Affleck, 46, reportedly leaving the stand alone Batman film. On the bright side, Gal Gadot, 33, will be reprising her role as Wonder Woman in the highly-anticipated Wonder Woman 1984, which will be released in 2019.Jason Momoa’s Aquaman will be released Dec. 14. Ezra Miller, 25, is set to start shooting a stand alone Flash movie in 2019. If a second Justice League movie ever happens, it likely won’t star Henry. At least there’s more than enough DC Universe content to go around in the next year!